Rink Rover: The biggest bigot in hockey is....me? The biggest bigot in hockey is....me? Normally I'm about as interested in protesting trivial things as I am inclined to mope nostalgically about the time before I was born as "the good ole days" that I'll never be a part of due to a cruel trick of fate. Neither of these morose activities appeals to me. Today, however, I'm starting to wonder if I'm actually a spiteful conservative who would make Archie Bunker look like Julian Assange. Here's how I might look in 20 years. "Boy the way Dave Keon played. Made the '67 Habs dismayed. Ballard led the cup parade. Those were the days. And you knew who started in net then. The blueline bloomed with great d-men. Nonis we could use a man like Tim Horton again. Didn't need no UFAs: contracts made sure no one strayed. Gee, the old reserve clause was great. Those were the days!" Looking back at the three NHL games that I've attended so far, I've noticed a strange trend: all of them were against Eastern Conference teams. That might not seem surprising, but keep in mind that I live in Calgary and haven't seen an intra-conference contest yet. This situation makes me wonder if I'm subconsciously snubbing the West due to last year's lockout. Since I couldn't see any teams from the East last year, I'm making up for lost time by seeing only inter-conference contests this season. As dumb as that sounds, it almost makes sense on account of the fact that I was severely disappointed when the lockout canceled the game between the Calgary Flames and Toronto Maple Leafs that was supposed to be held last December. Is it possible that my disappointment is manifesting itself in this apparently prejudicial treatment of the West? If so, my inadvertent bigotry doesn't end there. All of those 2013-14 games have been against Original Six teams: the Montreal Canadiens, the Leafs, and the Detroit Red Wings (which takes place tonight!). It seems that I'm not only bitter about the lockout but equally malcontent with the NHL's previous expansions. I generally admire all of the Original Six teams for their rich histories and storied rivalries, but I didn't think that such admiration could cross over into nostalgia for the "good ole days" before the NHL introduced ice to the sunny state of California. 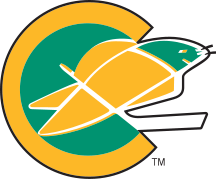 I've made my peace with the Los Angeles Kings, but I virulently insists that the California Golden Seals were the greatest affront to the integrity of hockey since the league introduced forward passing. If I don't check this insidious hostility to the NHL (which my subconscious probably refers to sardonically as the "Newfangled Hockey League"), I might end up going to the Air Canada Centre just to wave both a "Get Off My Lawn" sign and a clenched fist at every franchise founded after 1967. 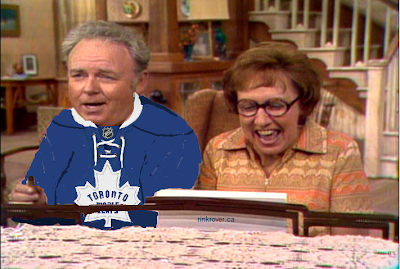 Perhaps this curmudgeonly condition is common among Leafs Nation. 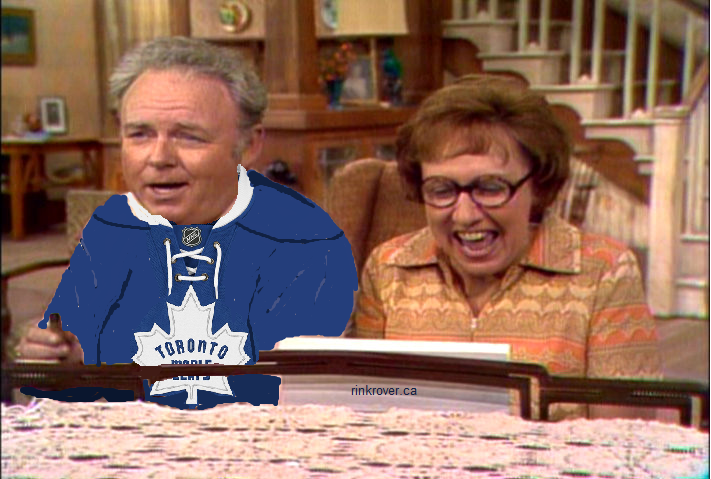 It's understandable that a fan base waiting for its team's first post-expansion, post-Beatles, and post-Moon-landing championship would scorn every innovation in the NHL since the Leafs last hoisted the Stanley Cup. Maybe it'll take a championship to help fans such as myself come to terms with the NHL of the 21st century (although I'll still probably sneer at anyone who enjoys the garish spectacle of hockey broadcast in colour).